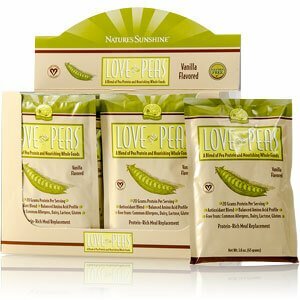 Provides 20 grams of vegetable protein per serving to help build and maintain lean muscle mass. Protein has also been shown to increase satiety and may promote weight loss when combined with exercise and a healthy diet. 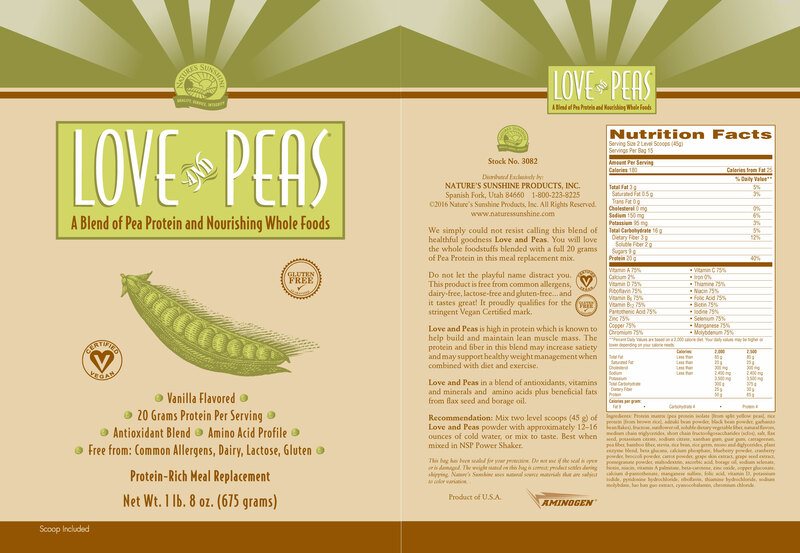 Provides 21 vitamins and minerals. Is free from these common allergens:dairy, lactose and gluten. 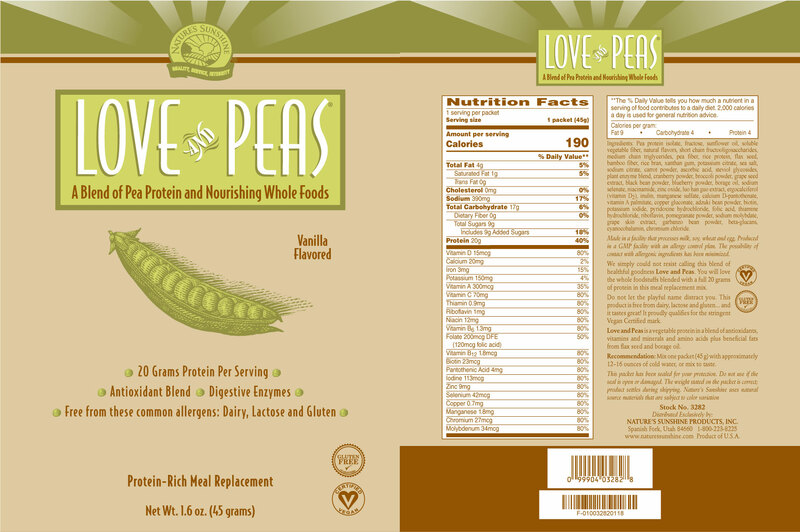 Love and Peas is high in protein (20 grams), which is known to help build and maintain lean muscle mass. 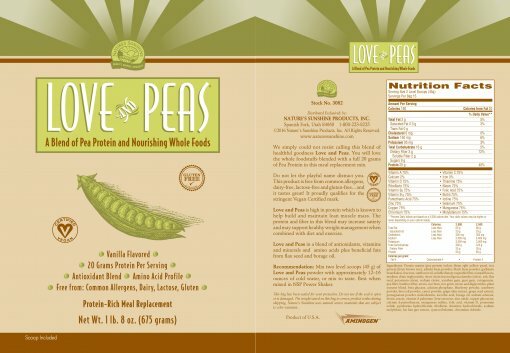 The protein and ﬁber in this blend may increase satiety and may support healthy weight management when combined with diet and exercise. This product is vegan certified. 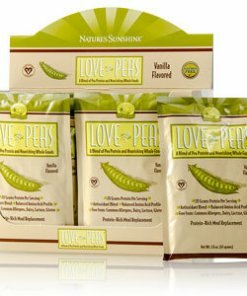 sodium molybdate, grape skin extract, garbanzo bean powder, beta-glucans, cyanocobalamin, chromium chloride. Mix one packet (45 g) with approximately 12-16 ounces of cold water, or mix to taste.